Lit Hop is a one night festival-style walkabout experience of literary events! WordSpace, Dallas’s favorite non-profit literary organization, takes on a new meaning for its slogan “Get Lit” with the announcement of the biggest bookish gathering Dallas has seen in 2016. 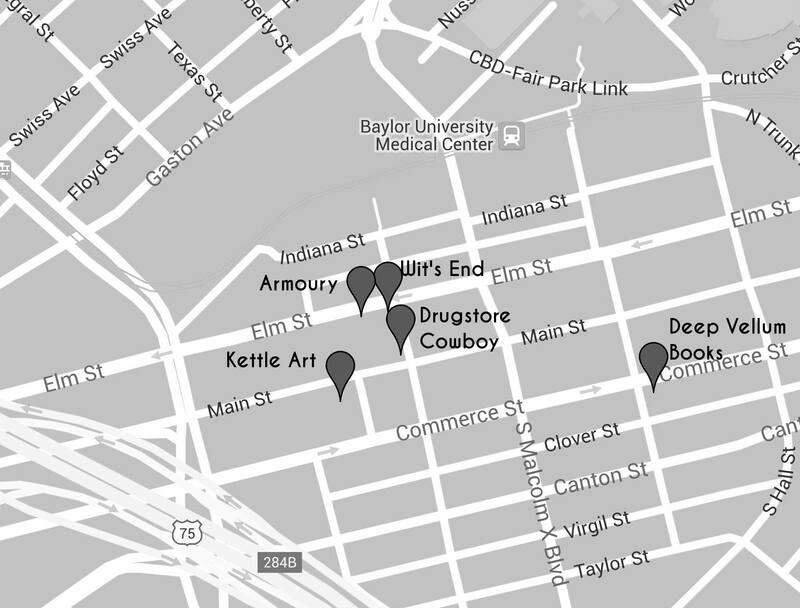 Lit Hop is a well-read bar crawl experience going down in — you guessed it — Deep Ellum on July 30, 2016. Guests attending this FREE event are encouraged to wander between bookshops, art galleries, and bars to enjoy an eclectic collection of literary atmospheres!